CAT 2018 Online Application Form - Apply Online for Common Admission Test 2018. Online Applications are invited by Indian Institute of Management for admission in IIM Ahmedabad, Amritsar, Bangalore, Bodh Gaya, Calcutta, Indore, Jammu, Kashipur, Kozhikode, Lucknow, Nagpur, Raipur, Ranchi, Rohtak, Sambalpur, Shillong, Sirmaur, Tiruchirappalli, Udaipur, Visakhapatnam for which candidates can apply online from 08 Aug 2018 to 19 Sep 2018 till 05:00 PM. IIM Jammu IIM CAT 2018 Entrance Result 2019: Indian Institute of Management, Jammu has announced the Result on 05 Jan 2019 for IIM Jammu IIM CAT Exam 2018 . IIM Jammu CAT 2018 Answer Key: Indian Institute of Management, Jammu has issued the Answer Key on 30 Nov 2018 for IIM Jammu IIM CAT 2018 Exam . Answer Key can be accessed from the link given below. IIM Jammu CAT 2018 Admit Card: Indian Institute of Management, Jammu has issued the Admit Card on 24 Oct 2018 for the exam which is scheduled to be held on 25 Nov 2018. For all other categories of candidates. SC, ST and PwD category candidates. Eligible candidates may apply online at IIM Jammu's website (direct link is given below) from 08th Aug 2018 to 19th Sep 2018 till 05:00 PM. 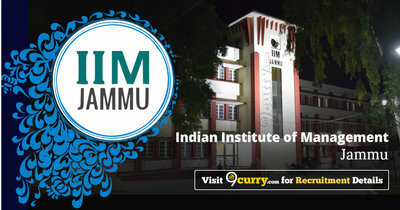 Candidates log on to https://iimcat.ac.in/. Govt. College of Engineering & Technology, Old University Campus, Canal Road, Jammu-180016.